More great random fun jumper videos at Music City Skydiving. MCS will be open, weather permitting, until December 18th. We hope to see everyone out here as much as possible before the winter shutdown. 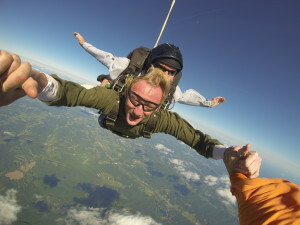 Nashville, Tennessee's best skydiving is only an hour away at Music City Skydiving in Waverly. Tandem, AFF, and licensed jumpers love our facility and fast aircraft. 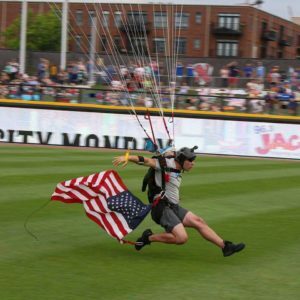 September 11, 2016, Music City Skydiving jumper and veteran Mike Paiser honored those lost on 9/11 with a flag jump. It’s hard to believe 15 years has passed since that fateful morning that changed all of our lives. 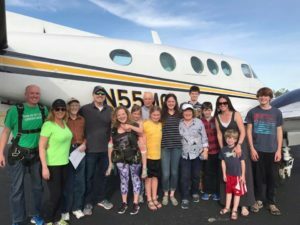 We are all grateful we get to skydive each weekend and have our families to come home to. Friday September 2nd, MCS DZO’s Taylor Smith and Mike Looney treated Williamson County high school football fans to an memorable show, bringing the game ball onto the field in style via parachute.Using the Channel 4 news helicopter, the seasoned, PRO rated skydivers jumped into the football field from 5,000 feet. Taylor was first in with a perfectly executed 90 degree performance turn to a slide in, stand up landing in style. Mike, known better by Williamson County residents as “Superintendent of Schools, Dr. Looney,” followed with a 50 yard line stand up finish that would make the Golden Knights demo team jealous. Great job guys! Just an hour from Nashville, Tennessee, Music City Skydiving is available for demo jumps into high schools and other functions. Formation skydiving weekend a success! We had a great weekend of weather July 9/10 despite really horrible forecasts. The King Air was enroute from maintenance Saturday morning carrying our weekend’s entertainment host, Scott Franklin. Scott is a former gold and silver medalist at the USPA Nationals in 8 way and 16 way and currently the formation organizer at Skydive Atlanta. The plane arrived around 9 a.m. and Scott wasted no time getting to work with the participant students. Scott began with a lecture on the fundamentals of formation skydiving. During this he corrected many of the myths and misnomers we are taught as young jumpers. He outlined the goals and strategies for successful dives and how they were going to achieve them and then they got to work. A lot of fantastic dives were completed and with only a few weather holds for passing storms we were relatively unimpeded jumping throughout the weekend. Thanks to everyone that came out and participated! 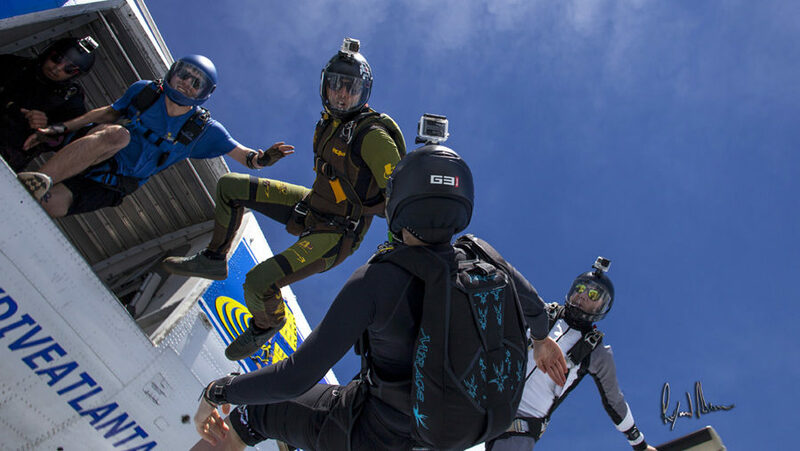 Scott regularly holds 4 way camps and invitationals at Skydive Atlanta, in Thomaston, GA and will be organizing July 23-24 at the Summer Boogie. Music City Skydiving is #1 in Tennessee for fun, whether formation skydiving or tandem skydiving. 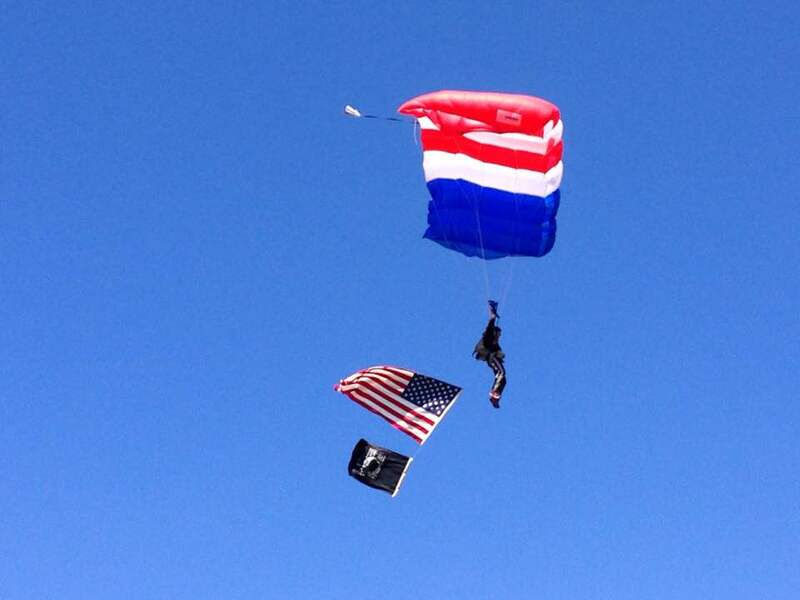 Last weekend Music City Skydiving observed Memorial Day in a special way, with helicopter jumps! The helicopter, out of Nashville, flew 30 jumpers Monday, making it a very successful time. Overall it was a great weekend with a ton of fun jumpers coming out. A big thanks to DZO Taylor Smith for all the hard work to make it happen. Nashville Tennessee's #1 skydiving facility is Music City Skydiving. With an 8,000 square foot facility and the most amazing skydiving views in Tennessee, no one can top us. me hope in an otherwise challenging part of his life. Jacob has been diagnosed with chuvash polycythemia, a rare blood disorder. So rare in fact that doctors have no treatment much less a cure. Jacob is at high risk for blood clots and over the next 10 years, his organs will begin to fail as the disease progresses. Due to high medical expenses Jacob was unable to afford to skydive. His dream of joining the military was denied because of his condition. So Music City Skydiving stepped in to grant his dream. 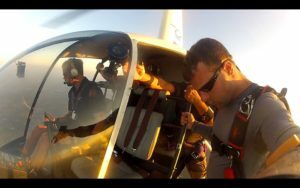 Tandem instructor and co-owner, Taylor Smith agreed to take Jacob free of charge. Our hope is that Jacob can find some peace with his condition and try to experience all of the great things life has to offer while he has time. Just outside Nashville, Tennessee, Music City Skydiving is making dreams come true for tandem skydivers. University near Nashville tandem skydives! 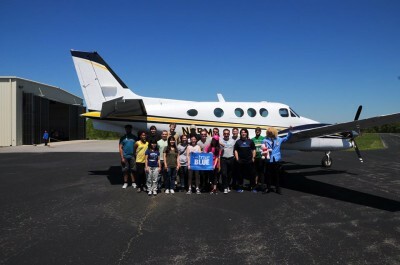 Middle Tennessee State University’s skydiving club held their annual Spring trip last Sunday, April 24th at Music City Skydiving near Nashville. After an attempt at the trip two weeks ago was weathered out with rain, clouds, and wind, the group was ready to get in the air. Club president, licensed skydiver, and regular at Music City Skydiving- Connor Sheppard led the charge for an early morning start Sunday. The group was favored with perfect weather and blue skies. After check in, the group members were quickly refreshed on training and started going up. Everything ran smooth and the group was completed very quickly. Some members even chose to dive in more unique attire than the average jumpsuit. MCS extends a big thanks to the MTSU, Connor, and the skydiving club. 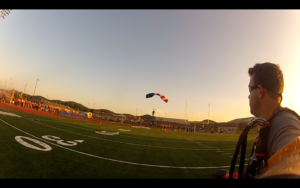 We look forward to the next trip hopefully in the fall when a brand new group of freshman skydivers discover the sky! 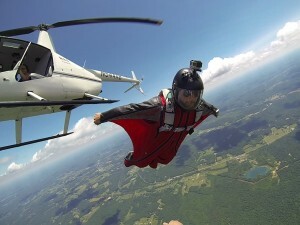 Music City Skydiving near Nashville is the place for tandem skydiving in Tennessee. The choice of the Middle Tennessee State University skydiving club.